Today is the birthday of Emile Anton Hubert Seipgens (August 16, 1837-June 25, 1896). Seipgens was born in Roermond, the Netherlands. He was the son of a brewer, and after school and some failed jobs, joined his father at the brewery in 1856. By 1859, he was running the brewery along with his brother. But apparently he wasn’t happy there, and in 1874 decided to pursue his dream of becoming a writer. Throughout his life, he wrote poetry, novels, plays and much more. Emile (Anton Hubert) Seipgens, born August 16, 1837 in Roermond, from 1876 until 1883 teacher of German at the Rijks HBS in Zutphen. He founded a literary reading companion for his disciples and was a member of the “Circle of scientific maintenance. He lived Nieuwstad A128-2. Seipgens was an outspoken Limburg author. His work – theater, novels and novellas village – is invariably located in Limburg, and sometimes – his songs – even written in Limburg dialect. Some of his best known and most read titles he wrote in his Zutphense period: The chaplain Bardelo (1880), from Limburg. Novellas and Sketches (1881). In this period made ​​Seipgens, who was first trained to be a priest, then was brewer, then teacher, to eventually become a writer, definitively separated from the Catholic Church. He started on the assembly line to write stories, which he published in magazines such as The Guide , Netherlands and Elsevier . One of those stories, Rooien Hannes , had worked to folk drama and staged by the Netherlands Tooneel great success. Later titles are: In and around the small town (1887), along Maas and Trench (1890), The Killer Star (1892), Jean, ‘t Stumpke, Hawioe-Ho (1893), The Zûpers of Bliënbèèk (1894) and A wild Rosary (1894). In 1892 Seipgens secretary of the Society of Dutch Literature in Leiden, and in that place he died 1896. 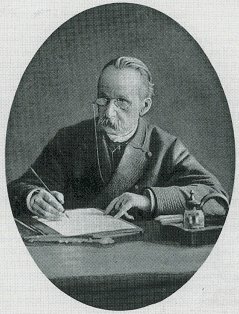 Posthumously published yet his novel on June 25, Daniel (1897) and the beam A Immortellenkrans (1897). Seipgens, which is one of the earliest naturalists of the Netherlands became completely into oblivion, until the late 70s of the last century actually was a small revival. 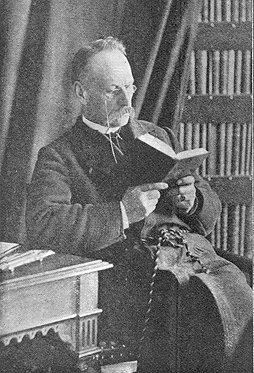 Which among other things led to reprint the novel The chaplain Bardelo and stories in and around the small town , and to the publication of his biography, written by Peter Nissen: Emile Anton Hubert Seipgens (1837-1896). Of brewer’s son to literary (1987), and the placing of a memorial stone at Seipgens birthplace. But this revival was short-lived. If Emile Seipgens remembered voortleeft, it will have to be on the legend of the rovershoofdman Johann Bückler based ‘operabouffe’ Schinderhannes (1864), which to this day in Roermond is staged! And here’s another account from “The Humour of Holland,” published in 1894.